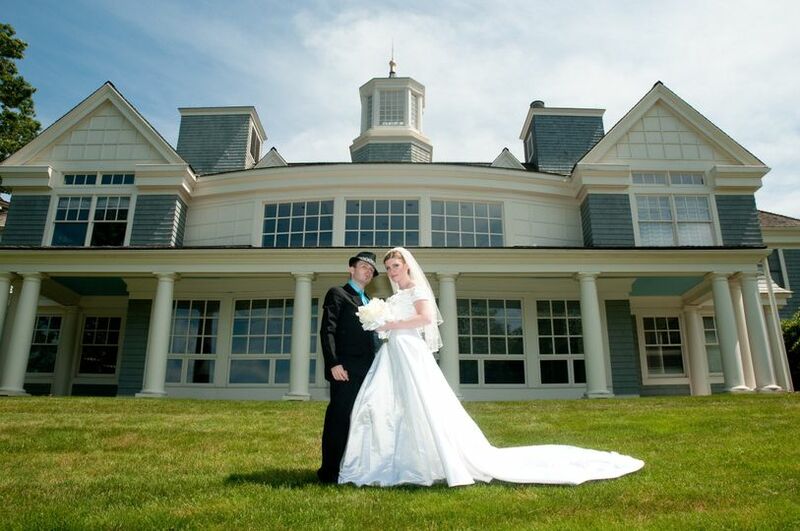 UConn Alumni Center is a modern wedding venue located in Storrs Mansfield, Connecticut. 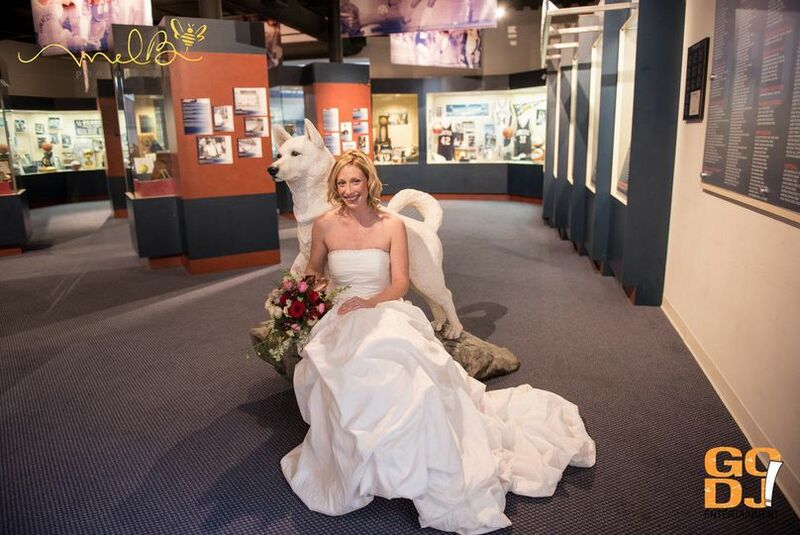 They offer couples their Great Hall for a sophisticated wedding, along with access to their Husky Heritage Sports Museum, the Husky Lounge and the Husky Plaza. 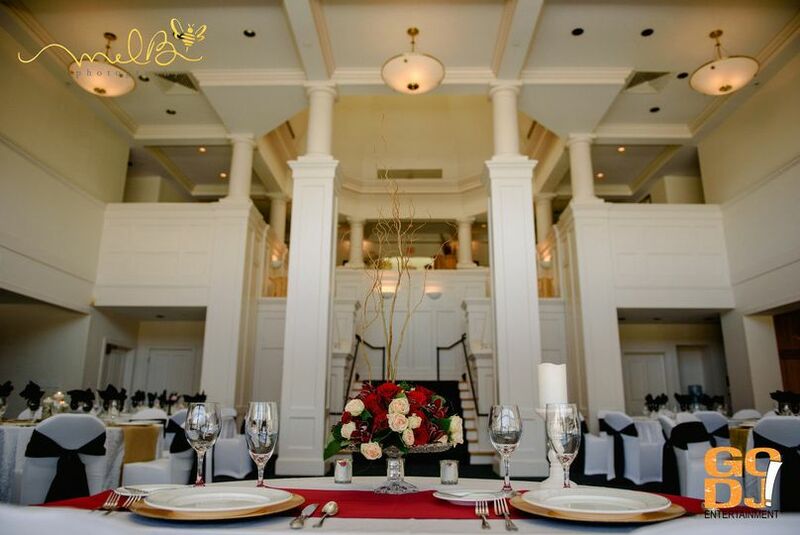 This intimate venue prides themselves on their experienced staff, personalized service and attention to detail. 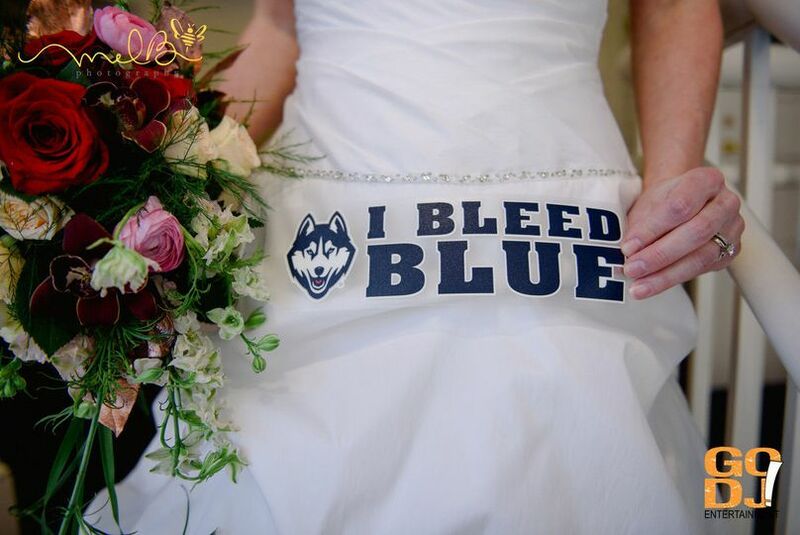 UConn Alumni Center provides an on-site coordinator to oversee your day and ensure your vision comes to life. 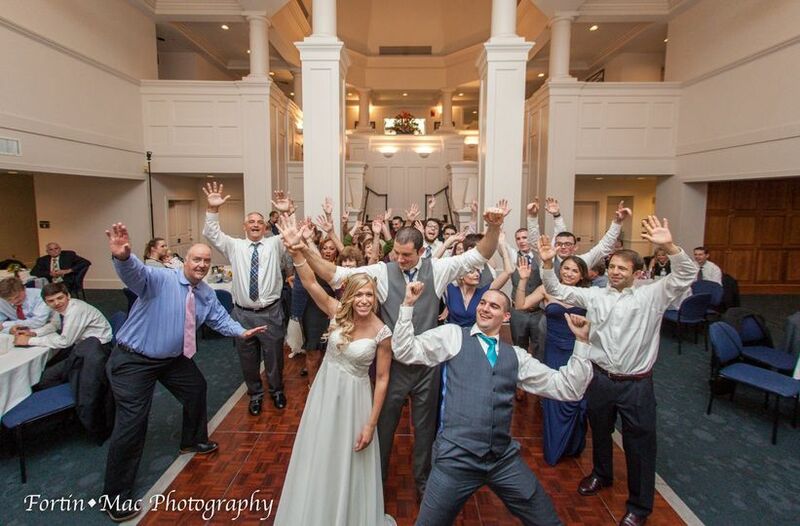 Couples can accommodate up to 120 guests at this collegiate venue. 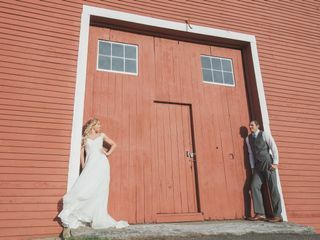 Their Great Hall features two staircases, perfect for making a dramatic entrance, a full bar and a long window bank overlooking their lush lawn. 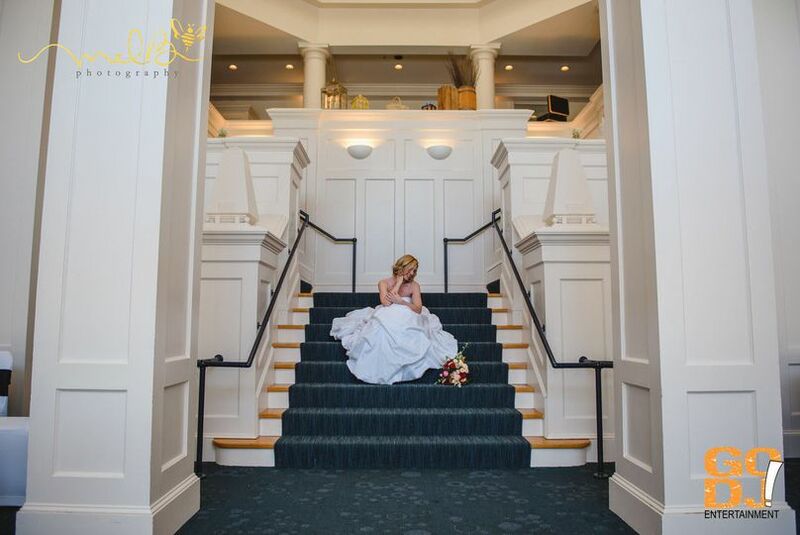 Their spacious Alumni Lounge is the perfect place for you and your bridal party to get ready before the festivities. For photo opportunities, the brick-paved Husky Plaza provides the perfect outdoor spot. It's lined with benches and beautiful trees. Or, take pictures at Horsebarn Hill, or in front of the Jonathan statue outside Gampel Pavilion. 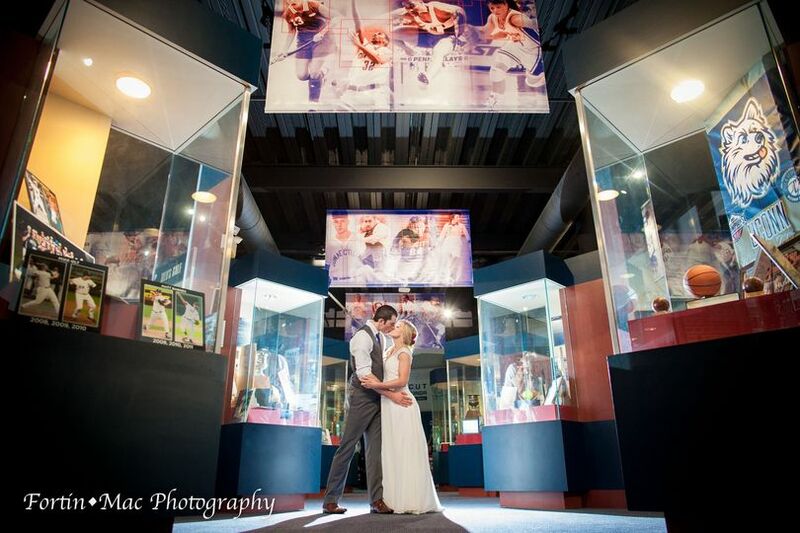 During your cocktail hour, before the dancing begins, your guests will enjoy checking out the Husky Heritage Sports Museum, located in the lower level of the Alumni Center. 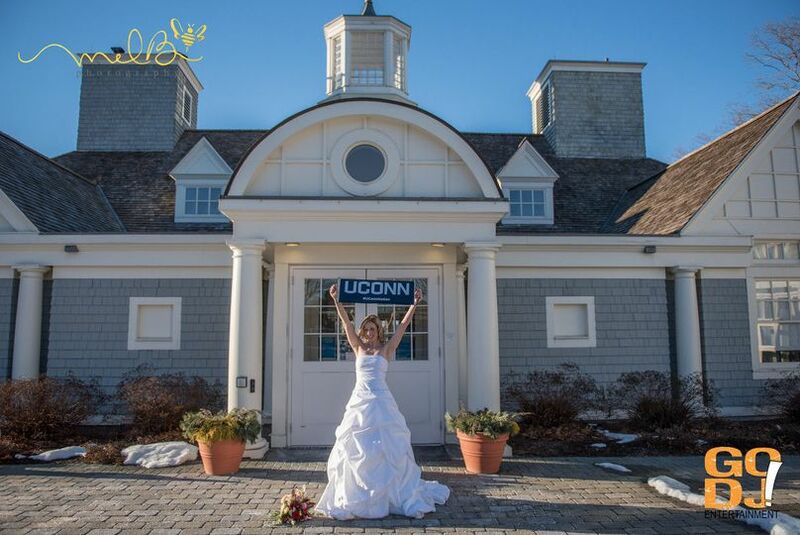 My husband and I got engaged at the end of July and with no luck on finding a place that we truly fell in love with (and fit our budget) we came across the Uconn Alumni Center. Being a Uconn Alumni myself, I knew that campus would provide numerous places for great pictures so we went to check it out. By that October, just 3 months later, we were married! The Alumni Center went above and beyond to make sure we had everything we needed and it was exactly the way we wanted it. The day of, as a bride things can get pretty crazy but I didn't have to worry about a thing! The tables were set up, our decorations were placed perfectly and everything went very smoothly! My family to this day still talks about how much fun they had- from cocktail hour in the Husky Museum to dancing all night long, it was a night to remember for sure. 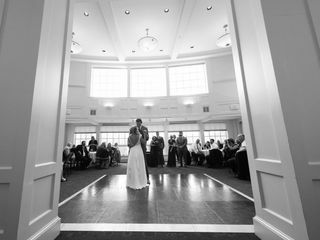 My wedding at the UConn Alumni Center in September was nothing short of spectacular. Guests who attended were mesmerized by the building and loved to wander the grounds of campus. 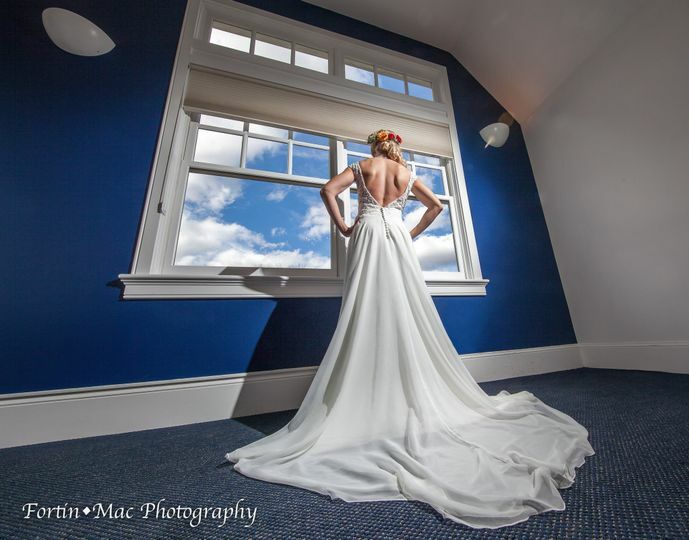 The planning process was exceptionally easy - as a bride juggling working full time and moving to a new house, I needed a venue that was easy to work with and responsive. When you book at the Alumni Center, included in the price is a day-of coordinator who is extremely professional and experienced. They know the grounds and the vendors to a tee. They also provided a list of vendors they have had very positive experiences with in the past which was really appealing to me so I didn't have to call countless and request quotes from various vendors, but I also liked knowing that I could ultimately choose any vendor I wanted. The actual day was so magical and the weather was perfect. And even though we didn't need it, I really loved and appreciated that they had a good back up weather plan, too. Everyone who attended said they had the absolute best time and my fiancé and I couldn't be happier. We went into planning the wedding wanting a celebration - a party that was about our guests and wanting them to have a great time. The Alumni Center far exceeded our expectations and it was definitely one of the best decisions I made!